A new performance art project will combine dance, music and a guided walk in the Cairngorms this summer. Into The Mountain, developed over the last six years by artist and choreographer Simone Kenyon will involve women who live and work in the Cairngorms area, with open-air performances taking place at the end of May and beginning of June. At the heart of the project is The Living Mountain, Nan Shepherd�s celebrated book charting her own journeys in the Cairngorms, written in the 1940s but unpublished until 1977. Each Into The Mountain performance will be open to just 30 audience members, who will be led in small walking groups (offering a short, mid and long-range route) through Glen Feshie. The groups will meet to witness a choreographed performance by five dancers (Jo Hellier, Claricia Parinussa, Caroline Reagh, Keren Smail and Petra S��r) moving in the landscape. Their performance will be accompanied by a vocal score composed by Hanna Tuulikki, performed by the Into The Mountain Choir, made up of women local to the Cairngorms and led by vocalist Lucy Duncombe. As she developed the concept for Into The Mountain, Kenyon held numerous talks and workshops and collaborated closely with the many women who have personal relationships with the Cairngorms, to explore how they navigate, encounter, embody and exist within this unique landscape. From exploring the landscape with local eco-psychologist, Margaret Kerr, site visits with Heather Morning, Mountain Safety Adviser with Mountaineering Scotland and walks with Jean Langhorne, to leading movement workshops in Glen Feshie for dancers (in partnership with Dance North), Simone�s collaborative approach brings together voices and experiences from varied disciplines and backgrounds. Through the project, Kenyon with collaborator Jo Hellier has also led eight sensory workshops with schools local to the Cairngorms which will form an education pack to be distributed by the Cairngorms National Park Authority, geared at helping young people engage with their environments. Into The Mountain is commissioned by Scottish Sculpture Workshop and co-commissioned by Cairngorms National Park Authority (CNPA), City Moves Dance Agency, Dance North Scotland and Tramway. The project is also supported by Mountaineering Scotland, Aberdeenshire Council and Creative Scotland. Into The Mountain takes place in Glenfeshie, with thanks to Wildlands Ltd. 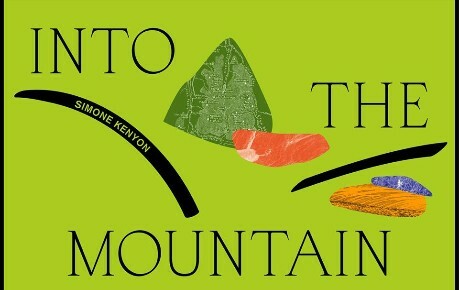 Performances of Into The Mountain will take place on Thursday 30 May (press view and stakeholders), Friday 31 May (public), Saturday 1 June (public) and Sunday 2 June (public and press view, with Take Me Somewhere Festival , Glasgow�s contemporary performance festival). Tickets cost �30 per person and are available from www.intothemountain.co.uk and Eventbrite.